I am not Michael Rosenbaum. I can not forward any correspondence to him. Anything sent to me with the intent of being forwarded to Michael will be deleted without response. 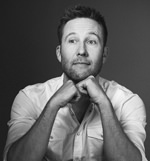 Michael Rosenbaum Online is a site for fans, by a fan, and is not recognized, nor endorsed by Michael Rosenbaum, his management/agents/publicists, or any related companies. The majority of content on this site has been collected from other internet sources. Most items are used without permission of their creators and are only being used for informational purpose. All items copyright to their respective owner, no copyright infringement intended. If you are the copyright holder and would like to receive credit, or do not approve of it being shown on the site, please contact me. does not mean that I necessarily approve of the contents on those pages and I do not take responsibility for any of the material on those pages, nor the opinions that the creators of those pages may have. All information is correct to the best of my knowledge, but I make no guarantees, warranties or promises. Company and product names, trademarks and copyrights of those they belong to are hereby acknowledged.